Are you looking to add some style to your home, but don't think you have the money to purchase the pieces you see in your dwell magazines? Think again and DIY your own design-worthy pieces for under $50! 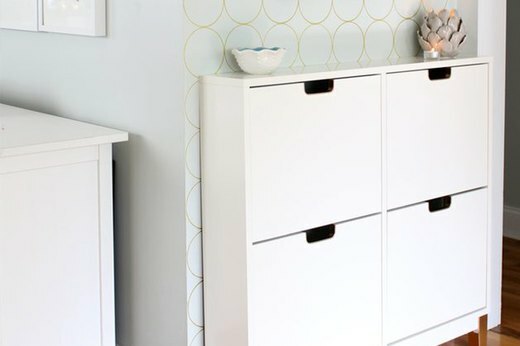 Use a cheap Ikea shoe cabinet to create a functional storage solution for mail and keys while adding a stylish designer look to your entryway. 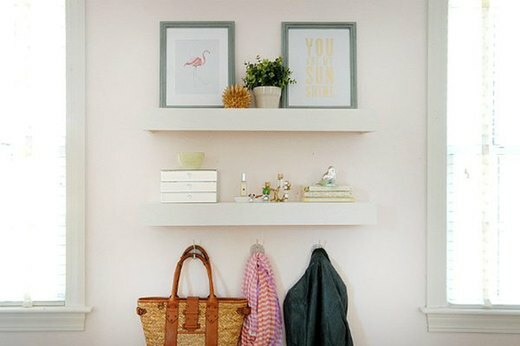 If you need some extra space, build these floating shelves for a chic look in your family room. Add a plant, photos or a design piece to show off your personal style. 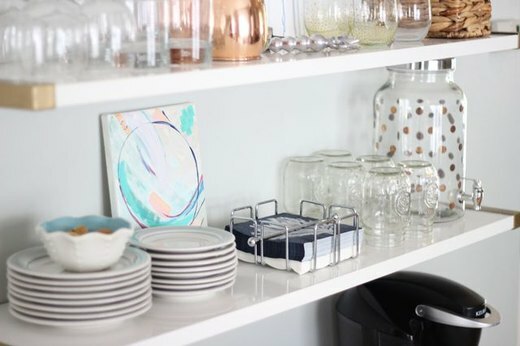 If you're dying to add a bar cart to your kitchen but don't have the space, create the same trendy look using floating shelves and a cheap table. 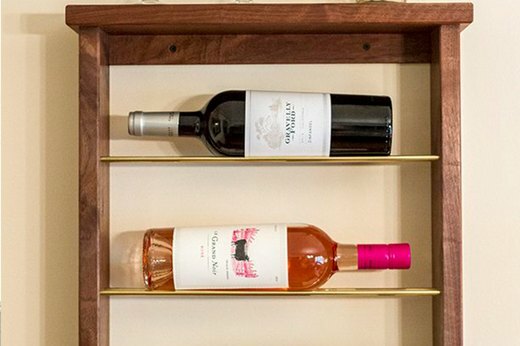 Guaranteed to add class to any dining room, this DIY wine rack doubles as a decor accent and a way to show off all your cool wine bottles. 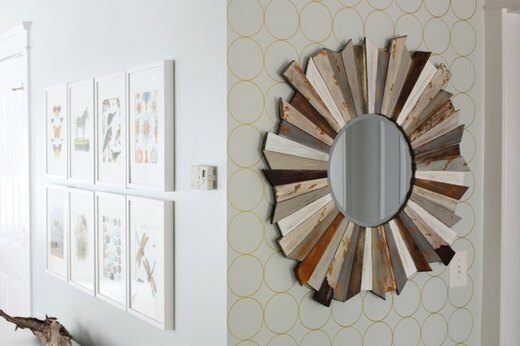 Wallpaper can be pretty risky, but this DIY lets you add an accent wall with only a bowl and a gold Sharpie! It's so easy, you have no excuse not to add some style to your walls. Make something you and your children will cherish as they grow up. 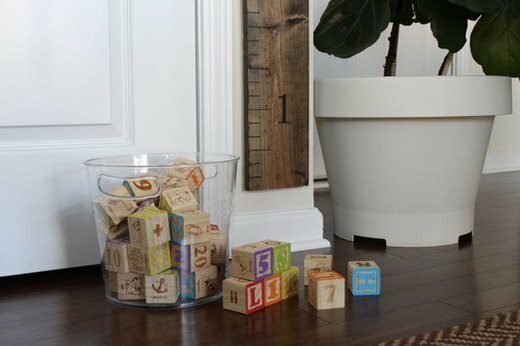 Keep track of their milestones with a DIY growth chart that's easy to make and transportable, so you don't ever have to worry about painting over it or leaving it behind. You don't have to pay $300 for an authentic Moroccan Wedding Blanket when you can DIY your own for under $50! It's easy to make and adds a romantic look to your bedroom. 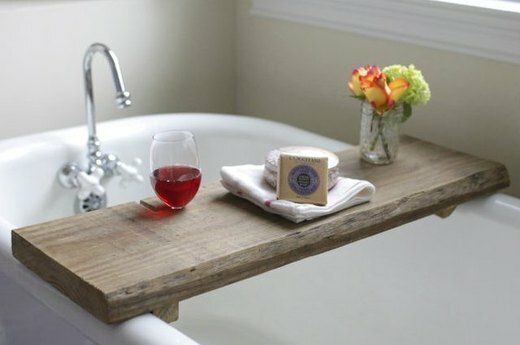 Create a spa-like atmosphere in your bathroom with this bath caddy made out of reclaimed wood. Bonus points if you add the built-in wine holder. 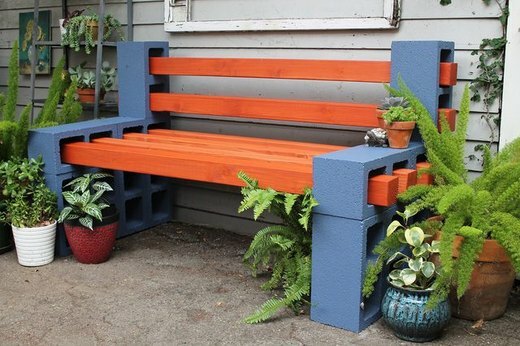 All you need are some concrete cinder blocks and wood posts, and you can make this awesome outdoor bench, no tools required! 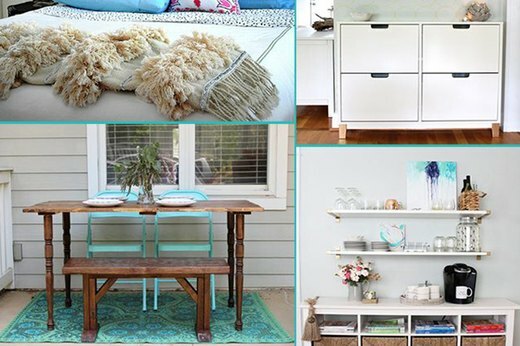 This easy-to-make table can be done in only a few steps with one quick stop to your hardware store. This DIY is sure to impress all of your guests (and save you money!). 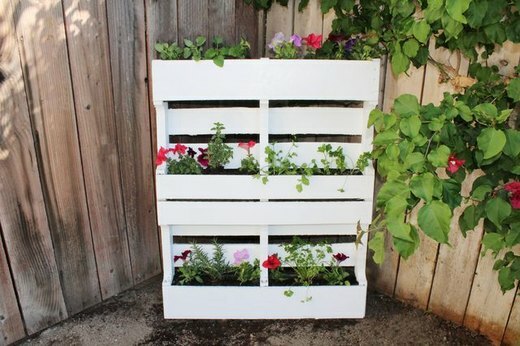 Everyone needs a garden, and with this space-saving DIY, you can't say you don't have enough space to have one! You can even move it around to allow the plants to get the sunlight they need.